A lot of you take your Crew and Save The Crew gear when you travel abroad. Many of you live abroad. 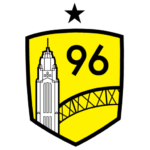 Do you have a picture holding a #SaveTheCrew scarf or sign? We want them! Send us your pictures of #SaveTheCrew support from all over the world! We will put them all together in one massive display of support. Add your photos here so you don’t miss out on this fun opportunity! The Columbus Crew recently announced this year’s team awards. U.S. Soccer just announced five nominees for 2018 Male Player of the Year and both Wil Trapp and Zack Steffen are on the list! Winners will be announced in the first week of December. ‘Tis the season of giving thanks. Members of the STC team volunteered and helped out at the Van Buren shelter in Columbus. We completed a variety of tasks, from chopping/prepping food, to serving meals, and to general cleaning of the kitchen. We really enjoyed our time giving back, and we are already planning more visits. It was a few hours of our time, but it was a few hours that made a tangible impact to our community. Columbus is our family and we will keep showing up for our family because this is who we are. Also: we’re not done yet. While we wait for details on 2019, don’t forget that you can take the Free 2019 Ticket Pledge. The pledge will let the new ownership group immediately hit the ground running. Take the pledge if you haven’t done so already and if you have then tell your friends & family about it as well. The broadcast partner of the Crew is seeing some big changes. Spectrum Sports is changing to Spectrum News 1. It is unclear how this will affect the upcoming season but rest assured we will all still find a way to support our Crew when they are on the road.